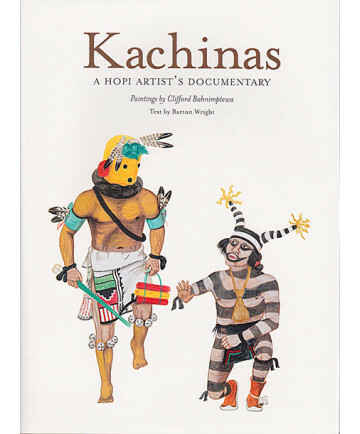 Kachinas, A Hopi Artist's Documentary by Barton Wright with paintings by Clifford Bahnimptewa First published in 1973 and previously out of print, this reprinting of Barton Wright's authoritative book on Hopi Kachinas and the Kachina religion is as important now as it was then. This book represents an unequaled resource to Kachina identification and explanation, pairing the beautiful paintings of Clifford Bahnimptewa and the scholarship of Barton Wright. 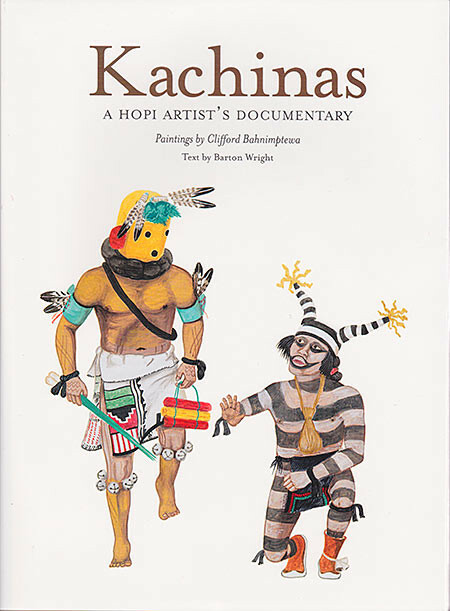 This book contains 237 paintings and descriptions of the Kachina figures out of an approximate 500 within the Hopi culture. Soft cover with jacket, 264 pages.